The screenplay of Gandhi is available as a published book. 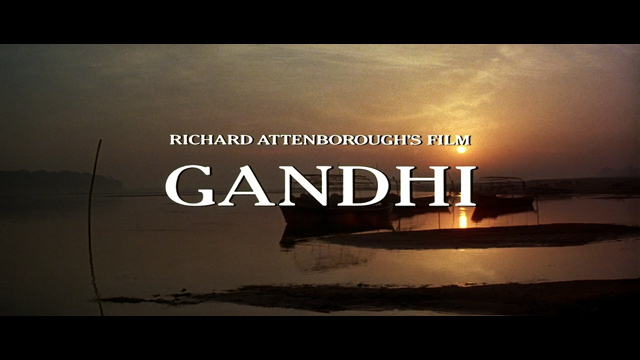 The film opens with a statement from the filmmakers explaining their approach to the problem of filming Gandhi’s complex life story: “No man’s life can be encompassed in one telling. There is no way to give each year its allotted weight, to include each event, each person who helped to shape a lifetime. What can be done is to be faithful in spirit to the record and to try to find one’s way to the heart of the man.” Is this true of the Gospel and Jesus, too? Mystery and unknowing as much a part of knowing God through the Word and Creation. This entry was posted in A Thousand Words and tagged Gospel, mystery. Bookmark the permalink.